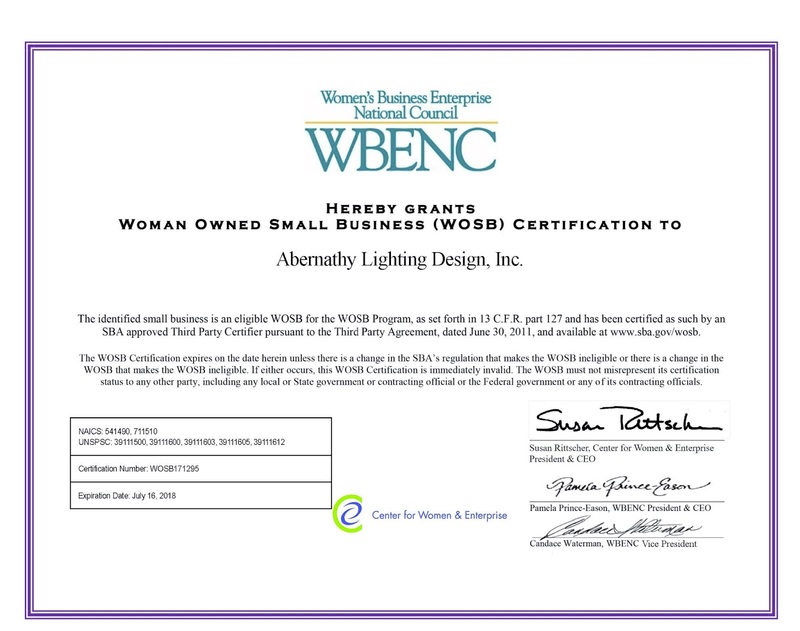 ald: abernathy lighting design: New certification! 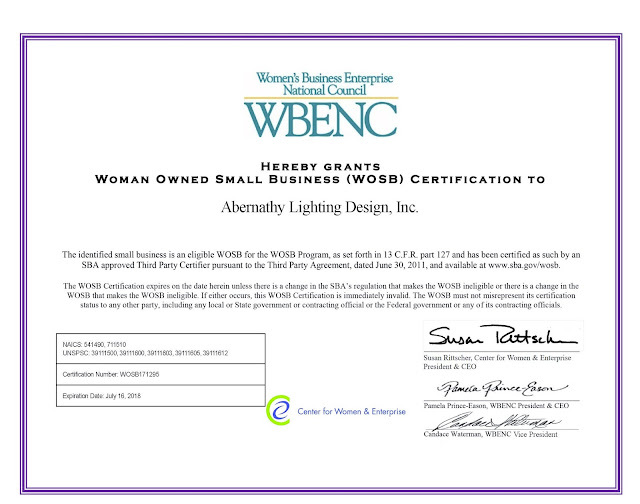 ALD is proud to announce that we are now a nationally recognized Women Owned Small Business (WOSB) on top of being a DBE /WBE in Rhode Island, Massachusetts, New York, New Jersey, and Pennsylvania! Jay sends greetings from China!